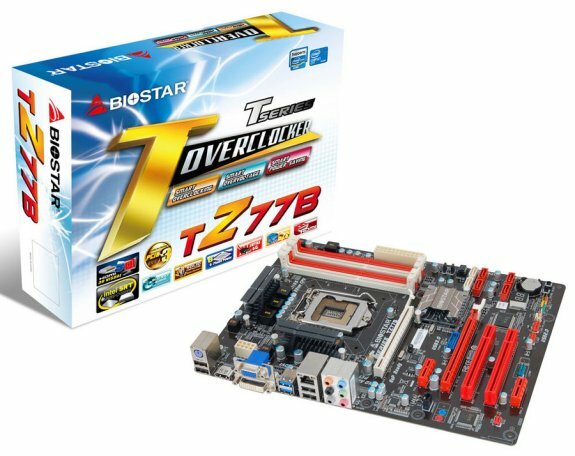 BIOSTAR, a world famous manufacturer of motherboards, graphics cards, industrial computing systems and peripherals, starts sales of the next-generation BIOSTAR TZ77B boards based on the latest Intel Z77 chipset and meant for powerful desktop systems with an excellent price/performance. The boards are designed for the latest third-gen Intel Core CPUs (Ivy Bridge) manufactured using the 22nm fab process based on the 3D transistors and retain the full backward compatibility with the second-gen Intel Core CPUs (Sandy Bridge). They support all Intel Core i3, i5 and i7 chips for the LGA 1155 socket with the TDP up to 95W including Intel K-Series chips with the unlocked multiplier. 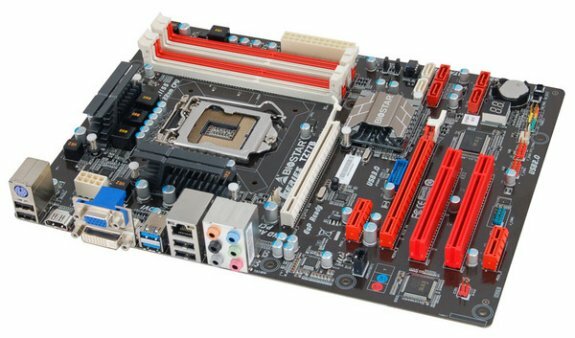 The TZ77B models have four DDR3 DIMM slots and support up to 32GB of dual-channel DDR3 1600/1333/1066Mhz memory and overclocking DDR3 2600/2400/2133/1866Mhz modules. They also support two SATA 3.0 drives with the performance up to 6Gbit/s and four SATA2 drives which can be arranged in RAID 0,1,5 or 10 arrays. Besides, the boards feature the Intel Smart Response Technology (SRT) for fast SSD caching in hardware. The new-comers support up to 6 USB 2.0 and 3 USB 3.0 ports. The high-speed network connection is provided by the GbE LAN interface based on the Realtek RTL8111E chip. High-quality sound comes from the 8-channel HD Audio codec based on the Realtek ALC892 chip and the Clean Tone 2 Technology which delivers the SNR of 98dB in the Windows 7 systems. The Intel Core integrated graphics core supports the DirectX 11 and HDMI 3D Visual interface for output of stereo 3D formats. Additional discrete graphics can be connected to the PCI Express 3.0 x16 port which is backward compatible with the PCI-E 2.0 and which supports multi-core accelerators from NVIDIA and AMD. Additional peripherals can be connected to 1 x PCI-E x16 2.0 Slot (x4), 2 x PCI-E x1 2.0 Slots and 2 x PCI Slots. The TZ77B boards support the new BIOS with the Unified Extensible Firmware Interface (UEFI BIOS) which delivers flexibility and simplicity of tuning thanks to a clear graphics interface. The new boards use reliable solid capacitors and a 6-phase regulating system which is critical for stable long-term operation and reliability in experimental system with overclocked components. The supplied T-overclocker Windows utility, popular among overclockers, combines powerful tools for fine system tuning, tuning of CPU performance, memory subsystem, CPU fan speeds etc. The BIOSTAR G.P.U (Green Power Utility) lowers power consumption at a light CPU load. The boards support the BIO-Remote2 technology for remote control of PC’s multimedia features using Android and Apple gadgets, the BIO-Flasher and BIO-ReLife technologies for fast and safe updating from a USB drive, and the BIOScreen utility for setting up your own logo for the OS booting. The Rapid Switch 2 and Rapid Debug 3 technologies are for fast board tuning with the integrated means of communication and diagnostics.